This week I vowed to cook and to experiment. As most people know just getting dinner on the table some days takes more effort than it’s worth. But, we were not getting our box the week, so I decided to make a concerted effort to cook. On Saturday I spent way too much time reading recipes. I can read recipes like other people read magazines, books or social media. I find them relaxing and exciting at the same time. I made the Spinach and Chive shells Sunday and Bob had lunch most of the week with leftovers; Monday I tried a Hot and Sour tofu. Tofu has a bad reputation, but I actually like the stuff – not tolerate it, like it. 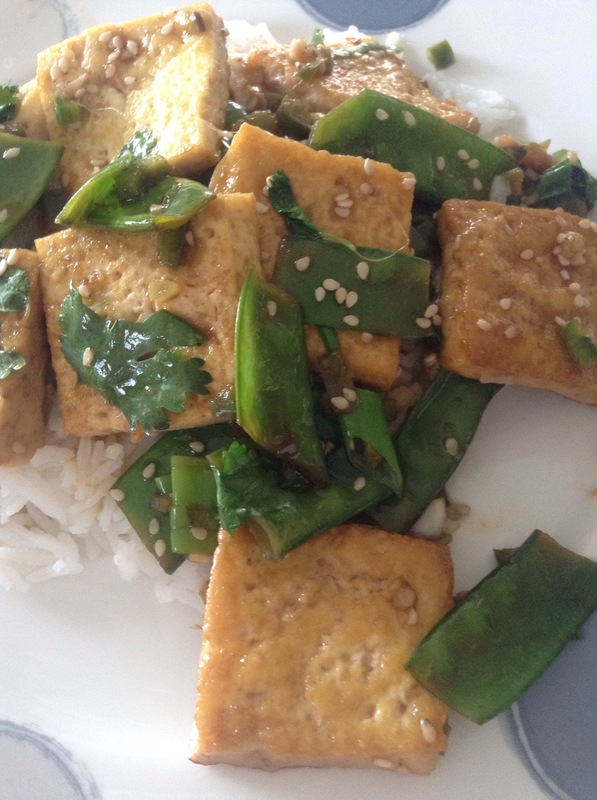 A good tofu has a great texture and enhances the flavors of whatever you are eating it with. 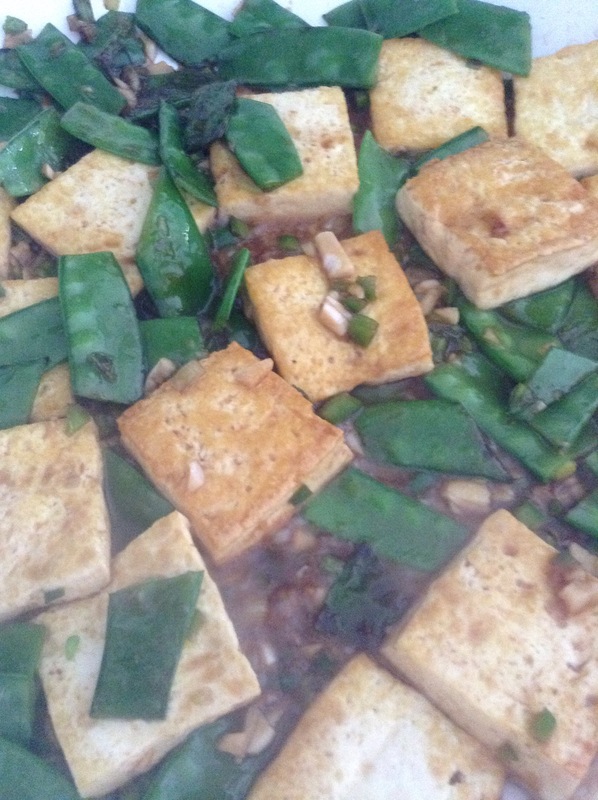 I fully admit, most of what I make does not have great tofu in it, but I still like the store bought stuff. The original recipe calls for fish sauce, so I had to change this a bit. I also found snow peas instead of sugar snap peas, but that was fine. Other than leaving out the fish sauce, and reducing the jalapeño (don’t do that, by the way – the dish needs the heat) I was pretty true to the recipe. It was fast (a plus) and didn’t have leftovers (plus and minus) and was pretty good overall. Not the best tofu I’ve ever made, but a solid dish. It does need the extra element that the fish sauce probably brought, but I’m not nuts enough to try it. Today I tried another new dish. The original recipe called for chickpea flour, but I could not find it in two different grocery stores, so I substituted semolina flour for this one. It makes the dish very different, but since we aren’t watching gluten, it worked ok. 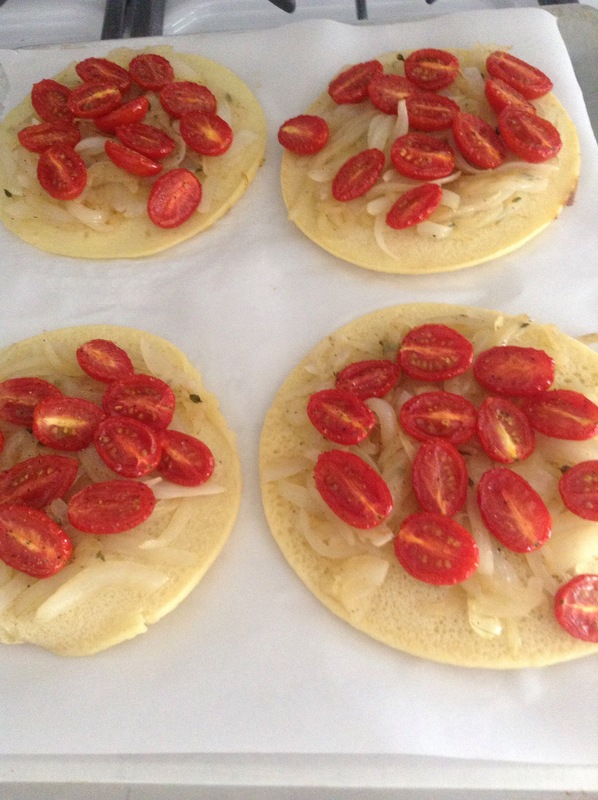 So this is essentially a tomato and onion tart. The base is a pancake of semolina flour with egg whites (and water, salt and olive oil). The onions are cooked down with thyme (yes, I was impatient and didn’t let them caramelize enough) and a splash of white wine vinegar. 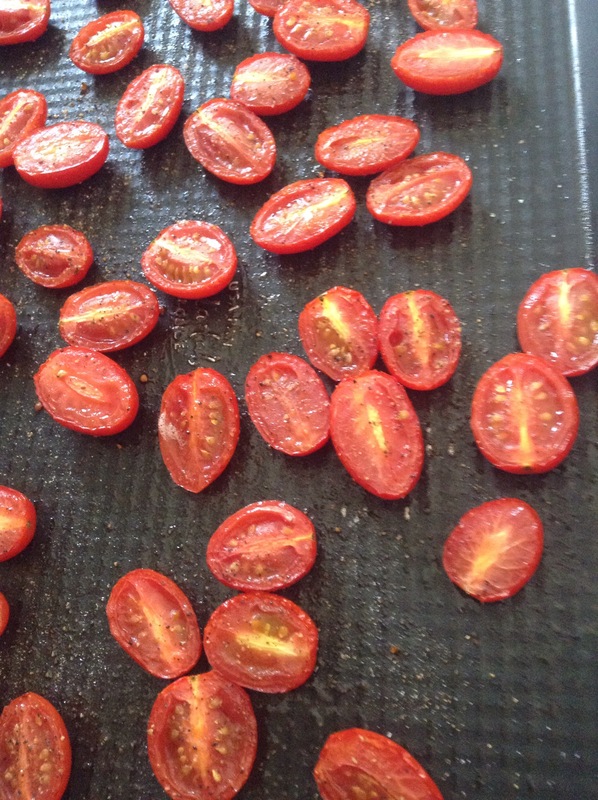 The tomatoes are oven roasted and the whole thing is served with a dollop of creme fresh. I liked this dish, but thought it would be better as an appetizer. 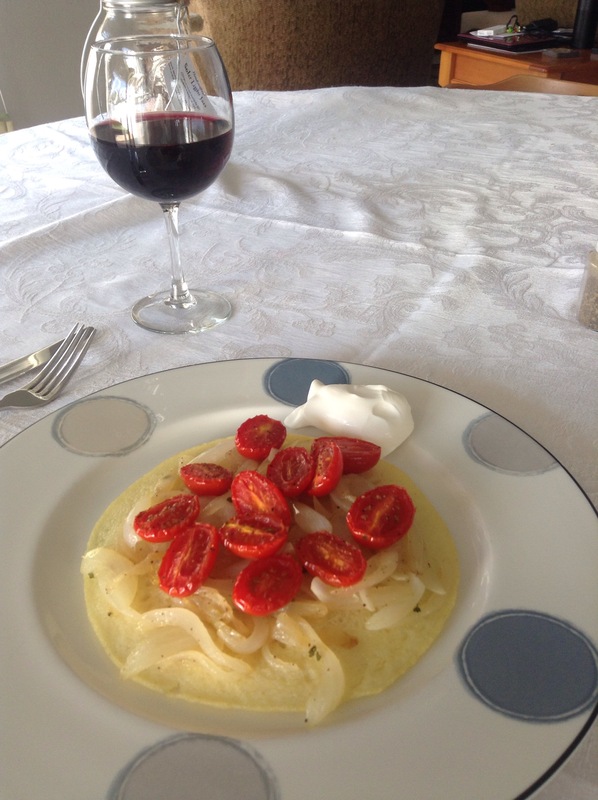 Smaller pancakes, maybe goat cheese instead of the creme fresh, and deeper caramelized onions would help. A few changes and I think we might have a winner. Don’t get me wrong, this was good, just not great. But for an experiment at the end of a long work day and a long work week, I’ll take it. I have a few more experiments for the weekend. Hopefully one will be great instead of just good so I can add it to the make again pile.